MANILA, Philippines — Unless you've been living under a rock, you've probably heard of the #10YearChallenge. The latest trend of 2019 has people all over the world posting throwback pictures juxtaposed with present photos to show the difference, or lack of it, between the two images. It didn't take long for the nostalgic challenge to go viral. From your facebook friends to Caitlyn Jenner, almost everybody's jumping on the bandwagon. The same goes for some of the biggest names in sports. Swiss tennis star Belinda Bencic captured the heart of tennis fans around the world when she posted photos of her and Hoopman Cup partner Roger Federrer, ten years apart. The post shows an approximately 11-year-old Bencic as a fan posed with the already legendary Federrer. It was an inspiring comparison as Bencic eventually played alongside her idol to win the Hoopman Cup title as a pair. Meanwhile, the Boston Celtics took to instagram, posting a young Jayson Tatum with Lebron James back in 2008 along with an image of the sophomore Celtic dunking on James in a Cleveland-Boston matchup last year. The young gun had the King on a poster. Manchester U also treated football star Paul Pogba to a #10YearChallenge treatment on the squad's instagram. #10YearChallenge: #MUFC player edition ???? Filipino athletes weren't about to step down from a challenge either. 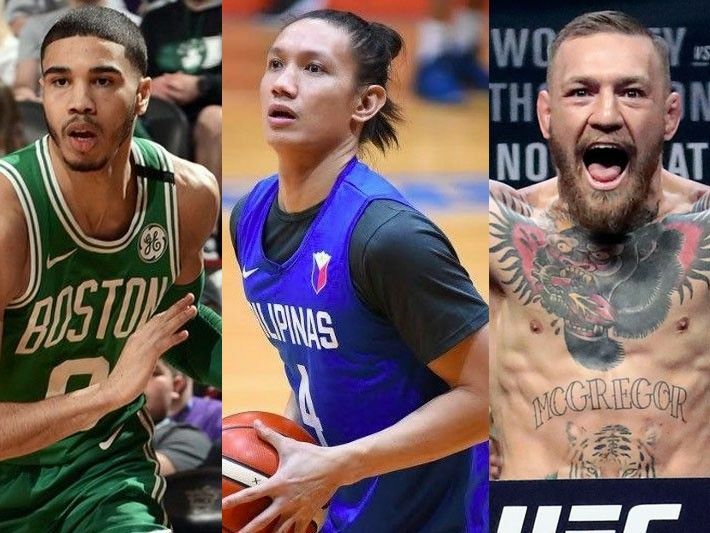 ONE Championship title holder Eduard Follayang and SMB cager Alex Cabagnot also shared their own 10-year transformation while Ateneo's Thirdy Ravena and Gretchen Ho poked a little fun at the trend. Which sports star's #10YearChallenge did you like the most?